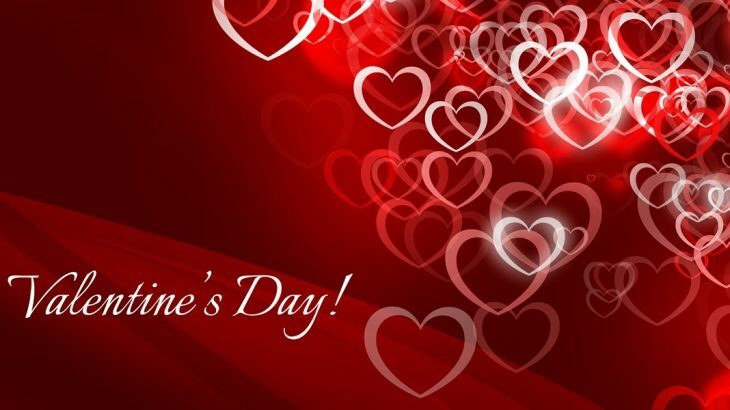 Valentine’s Day (14th February), the celebration of unconditional love and passion is around the corner and the couples are making their arrangements to make this day so special. It is the day in every couple’s life when they thrive to recall the unique bond they share, and when someone somewhere finally decides to express his/her love. Every valentine wants to celebrate this day in an exceptional way to impress their partner. What better gift could you think of to surprise your loved one than a visit to some of the most romantic places in the country? A well planned trip will subtly complement the surprise gifts, a bouquet of red roses, a box of assorted chocolates and a candle lit dinner. India is home for some of the most romantic places that offer different choices to celebrate with someone special. No matter whether you are young or old, these places would ignite the flames of passion and romance in your lives for sure. 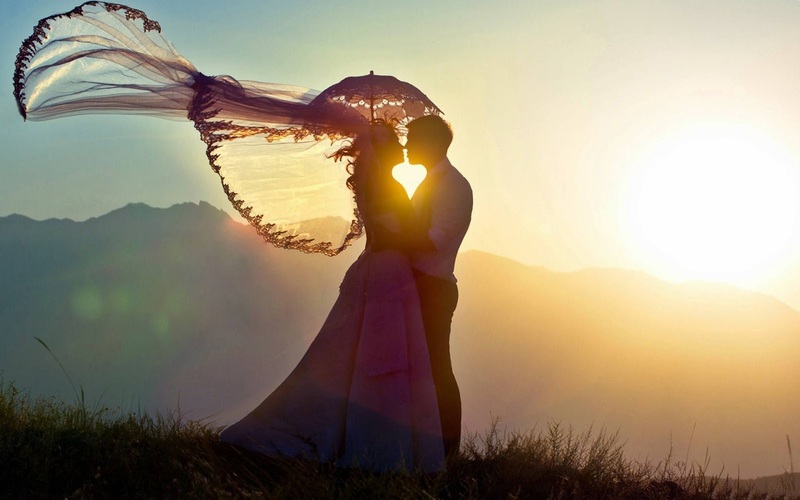 Trawell.in presents the list of 14 most Romantic Places to visit in India on Valentine’s Day here. What’s more romantic than snuggling up in the snowy mountains? Give a white surprise on this Valentine’s Day and take your loved one to Manali to feel your love amidst snowcapped peaks of Himalayas. Pristine beauty, peaceful environment and incredible weather will definitely spell the much-needed magic on you and fill your life with romance. Stay overnight in a treehouse or a Swiss tent, enjoy play time with snow at Rohtang Pass, relaxing by the fireplace and have a bath at any hot springs are the popular activities not to miss in a Manali tour packages. Often referred as the Valley of Gods, Manali is a popular hill station in Himachal Pradesh and among the most popular honey moon destinations in India. Manali is a unique place which is perfect place for backpackers, adventurers and honeymooners alike. Solang Valley, Rohtang Pass, Hidimbi Temple, Bhrigu Lake, Vashist Temple, Manu temple, Naggar Castle and Manikaran are the top places to visit in Manali. 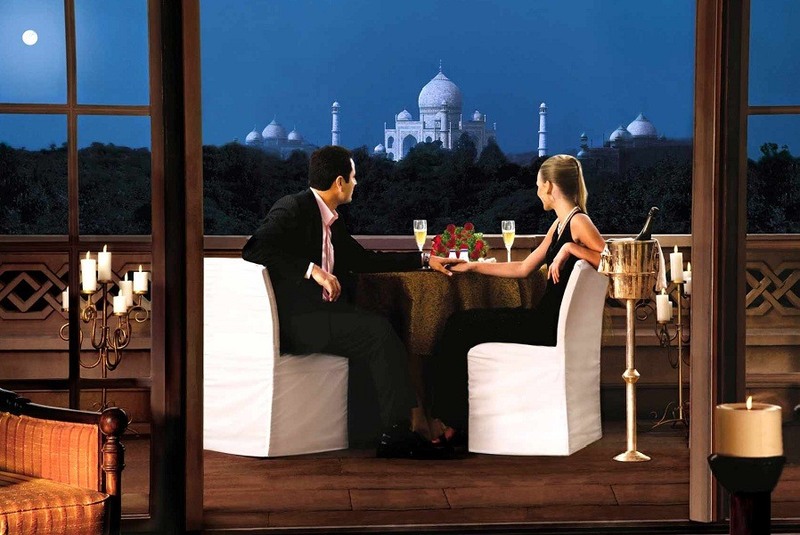 Which is the better spot to confess your love than in front of the Taj Mahal, Agra? Taj Mahal, the most stunning epitome of love, is one of the best places to go on Valentine’s Day and among the Seven Wonders of the World. This massive mausoleum of white marble was built by Mughal emperor Shah Jahan in memory of his wife Mumtaz Begum. Visiting the Taj Mahal on a full moon night with your loved one is a fantastic experience. Taj Mahal, Agra Fort and Akbar’s Tomb are among the must include places in your Agra tour packages. For centuries, Agra stands as land of romance and it is hard to beat the allure of a moonlight drench Taj Mahal. Situated on the banks of River Yamuna, Agra is one of the most popular tourist destinations of the World and among the best heritage sites in India. Agra is included on the Golden Triangle tourist circuit and also one of the top places to visit near Delhi. Apart from the Taj Mahal, Agra Fort, Fatehpur Sikri, Akbar’s Tomb-Sikandra, Swami Bagh Samadhi, Jama Masjid and Ram Bagh are the other important places to visit in Agra. Gulmarg is especially for those who want to express their love amidst white snowy landscapes. 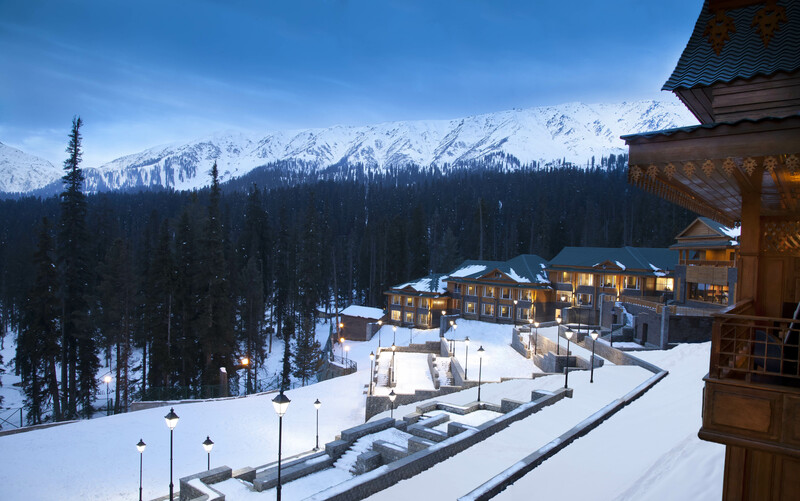 Gulmarg is India’s premier skiing destination and among the most romantic destinations in India. Known for its scenic beauty, Gulmarg is the places where one can stroll along the vast stretches of flower-clad meadows, sway through the alpine mountains replete with snow and have a passionate snowball fight or get intertwined in each other’s charm on Valentine’s Day. Gulmarg is a hill town and a popular skiing destination in Jammu and Kashmir. The scenic beauty of this place has made it a popular shooting location for Bollywood films. Khilanmarg, Alpather Lake, Wular Lake and Manasbal Lake are the top Gulmarg attractions. The most popular activity here is skiing, as well as the cable car ride, the Gulmarg Gondola, which is one of the highest cable car facilities in the world. It is also home to some of the most mind-blowing views you will see. With its exotic sandy beaches, warm lagoons and exciting nature, Havelock Island in Andamans is a romantic paradise. The pristine beaches of Havelock Island are the best spots for water activities, romantic picnic and spend some quality time with your sweet heart. If you are an adventure junkie get on for a thrilling diving session in the depth of the sea or go for kayaking together. Havelock Island is among the prettiest islands of Andaman & Nicobar. Beautiful white sandy beaches, rich coral reefs and lush green forest make Havelock one of the top tourist places in Andamans. Radhanagar Beach or Beach No. 7, Elephant Beach and Kalapathar Beach are the top places to visit in Havelock. This is also a popular spot for activities like scuba diving, snorkeling, trekking, island camping, kayaking, sailing, etc. If you want to add a fairy-tale effect to your Valentine’s Day then Nainital is the place for you. Nainital, an iconic hill station and among the popular romantic destination in India, is famous for its incredible natural scenery, salubrious climate, and snowcapped mountains. In the month of February, the place is truly a paradise for honeymooners and romantic couples. 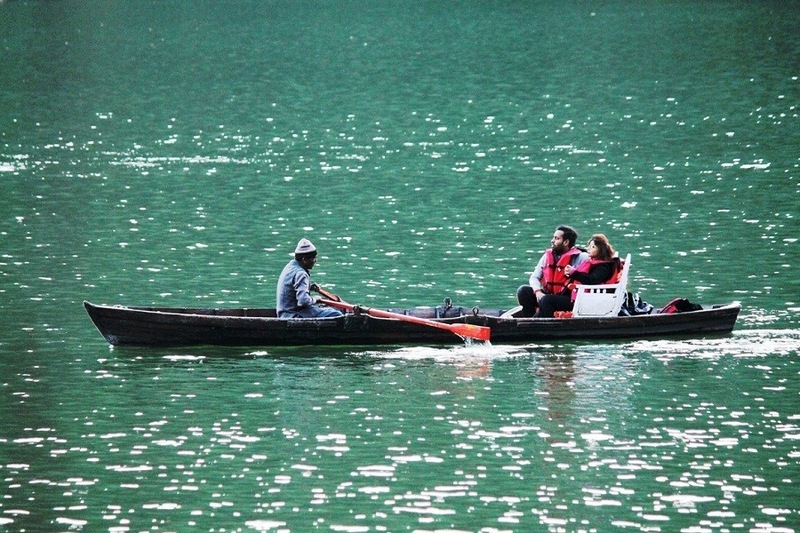 Expressing your love, while boating in the Naini Lake is the best experience you can enjoy. Located in the Kumaon foothills of the Himalayas, Nainital is a stunning hill station in Uttarakhand. Situated at an altitude of 1938 m, it is one of the most popular places to visit near Delhi and the top hill stations in India. Nainital Lake, Naina Devi Temple, Mall Road, Naina Peak, Snow View Point, High Altitude Zoo, Bhimtal and Sattal are the top places to visit in Nainital. From walking trails to horse riding and from boating to rope-way ride, there are many interesting activities to keep the love birds engaged. Often called as the City of Lakes, Udaipur is another dream destination for lovers who are looking for a royal Valentine’s Day. The magnificent Rajput architectural style palaces, havelis and placid lakes that are set against the pretty Aravalli mountain ranges, make Udaipur among the top Tourist Places in Rajasthan and also one of the most romantic places in India. Expressing your love, while sunset boating in the Pichola Lake or candle lit dinner in anyone of the heritage hotels is the best experience one can enjoy. Popularly referred as the Venice of the East, Udaipur is known for its history, culture, scenic locations, lakes and the Rajput-era palaces. The City Palace, the Lake Palace, Bagore Ki Haveli, Jagdish Temple, the Garden of the Maidens or Saheliyon Ki Bari, Sajjan Garh Palace, Kumbhalgarh Fort, Lake Pichola, Fateh Sagar Lake, and Jag Mandir Palace are some of the best places to visit in Udaipur. Udaipur is also the ideal place for destination weddings. Valentine’s Day is one of the best times in the life of every couple for which memories are treasured throughout the life. What could be a better way to express and celebrate your love than in Wayanad? 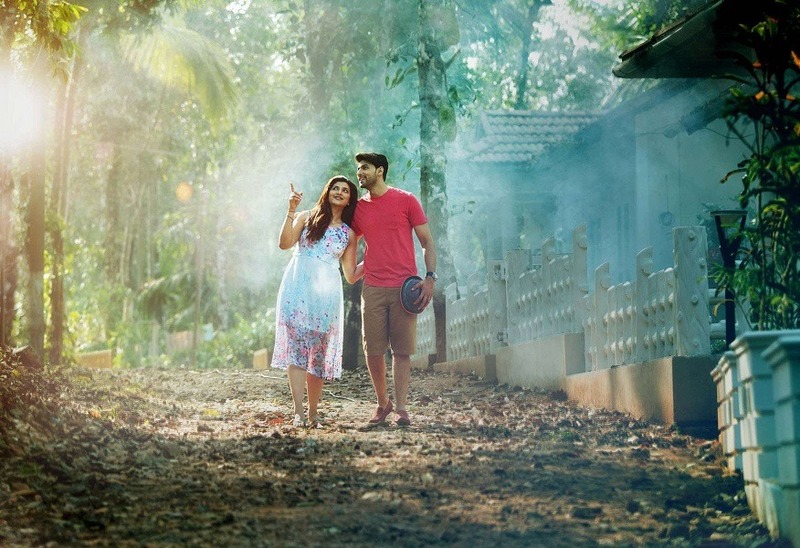 The romantic weather and beautiful landscape of Wayanad will perfectly compliment your celebratory mood. Stroll along the tea plantations, get wet under any one of the waterfalls, go for a romantic boat ride in Pookote Lake or go for a wildlife safari, Wayanad offers so many things for its visitors and one can enjoy quality time with their loved one. This is also one of the popular 2 day trip from Bangalore. and among the must include places in your Kerala tour packages. At an altitude ranging between 700 m to 2100 m, Wayanad is a picturesque plateau nestled among the mountains of the Western Ghats in Kerala. It is one of the romantic getaways in South India and also one of the top places to visit in Kerala. Wayanad has a rich history and the hills of Wayanad have several evidences of the New Stone Age civilization. Edakkal Caves, Meenmutty Falls, Soochipara Falls, Thusharagiri Falls, Pookote Lake, Banasura Sagar Dam, Karappuzha Dam, Wayanad WLS), and Chembra Peak are the top places to visit in Wayanad. 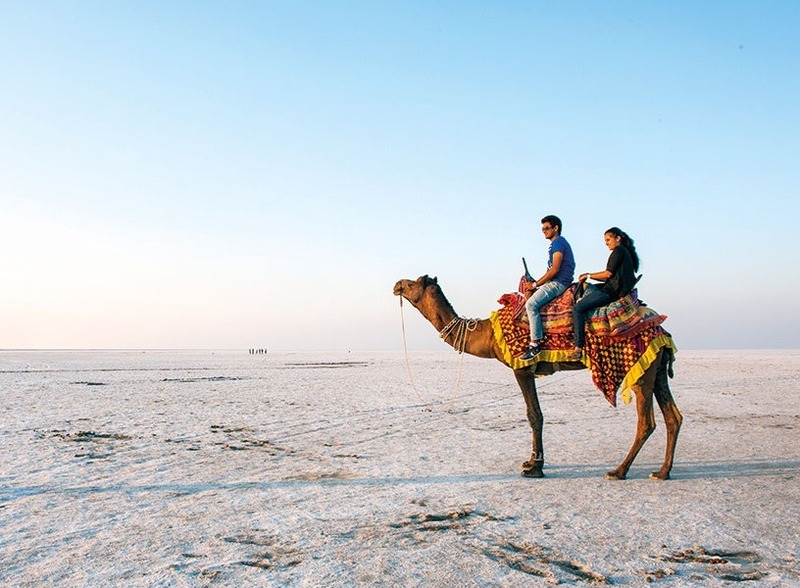 If you’re one of those who want to celebrate your Valentine’s Day in a very different way, then Rann of Kutch is the suitable place for you. Regardless of how strange this idea may sound, it can turn out to be one of the best valentine experiences for you and your beloved one as this is also the time to witness the Rann Utsav which will go on till 20th February 2018. The vast white desert against the backdrop of the mesmerizing sunset will make your day quite special. Particularly, the spectacular sight of boundless white desert under the moonlight offers the stunning creation of nature, unique to this world. 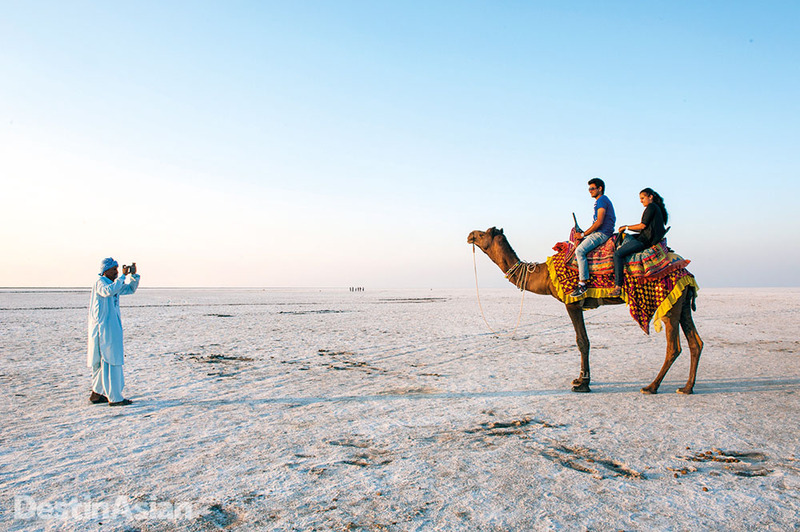 The Great Rann of Kutch is one of the most stunning and unique landscapes in India. Rann Utsav is also celebrating the day of love in style. The white salt desert will be lit with colours of love on Valentine’s Day and also a gala dinner will be held for visitors. Mandvi Beach, Kala Dungar, Roha Fort, Dholavira, Narayan Sarovar, Kutch Great Indian Bustard Sanctuary, Aina Mahal, and Kutch Museum are some of the top tourist places in Kutch. Visitors can also involve in desert safaris by jeep, camel rides and shopping for the unique local handicrafts. Pondicherry, the French capital of India, seems perfect for the couples to celebrate their Valentine’s Day in calm and peaceful environs. Unspoilt beaches, Portuguese influence, and French styled buildings make Pondicherry a delightfully different from most of the Indian tourist destinations and you would surely love its unique beauty and charm. A great walk along the palm fringed beaches, the French Quarter, beach activities and a romantic candlelight dinner would make your day more special. Along the coast of Bay of Bengal, Pondicherry is a former French colony and is often referred to as the French Riviera of the East. Pondicherry Beach, Paradise Beach, Pondicherry Museum, Auroville, Botanical Garden and Manakula Vinayagar Temple are the top Places to visit in Pondicherry. Also known as Rock Beach & Gandhi Beach, Pondicherry Beach is one of the wonderful locations to observe some of the most amazing sunrises in India. Blessed with an abundant natural beauty, Darjeeling could be the best option for this Valentine’s Day 2019. Dotted with beautiful hills, sprawling tea plantations and mesmerizing valleys, Darjeeling is a great place to release your inner innocence and imprints a sense of love the moment you land at this heavenly destination. A walk with your Valentine on misty, curving roads, a ride on a heritage toy train, try a fresh cup of tea or spend a romantic night in one of the Tea garden bungalows, Darjeeling has it all and make your Valentine’s Day more different. Situated an elevation of 6,700 feet, Darjeeling is a beautiful hill town in the state of West Bengal and also one of the best honeymoon tour in India. Darjeeling is renowned for its tea plantations, fairy tale ride on the Darjeeling Himalayan Railway and the spectacular views of Kanchenjunga. Ghoom Monastery, Tiger Hill, Senchal Lake, Batasia Loop, Mahakal Temple, Bengal Natural History Museum, Happy Valley Tea Gardens, and Himalayan Zoological Park are the top places to visit in Darjeeling. One of the lovely getaways from Bangalore, Chikmagalur is the ideal place to celebrate your love amidst nature. From the misty hills to aromatic coffee plantations and glittering lakes to gushing waterfalls, Chikmagalur is a great place to confess your love on Valentine’s Day. Enjoy a cup of aromatic coffee and go for a romantic walk with your special one on the curvy roads makes your big day even more special. 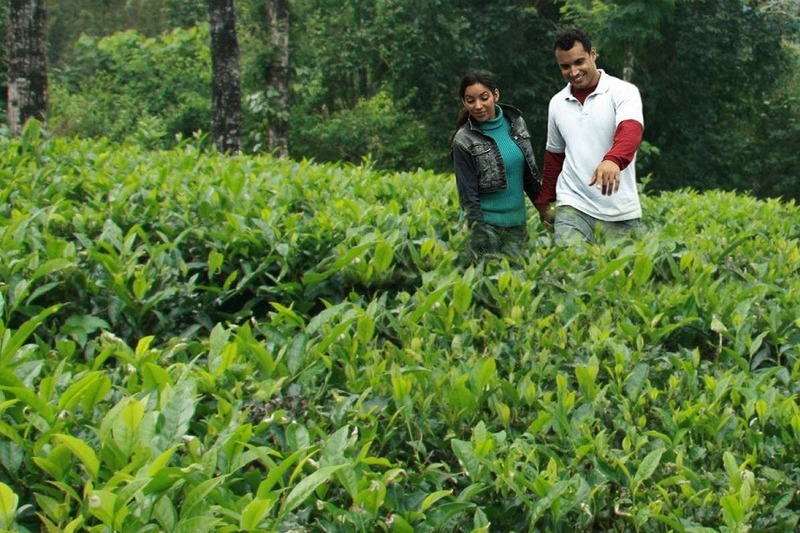 If you are a kind of adventure then explore the lush coffee plantations of Chikmagalur with your soul mate. Chikmagalur is one of the best hill stations near Bangalore and among the must include places in your Karnataka tour packages. At the foothills of Mullayangiri, Chikmagalur is famous for its serene environment, lush green forests and tall mountains. Often referred to as the coffee land of Karnataka, Chikmagaluru is known for its coffee plantations and is the place where coffee was cultivated for the first time in India. Hirekolale Lake, Baba Budangiri, Mullayangiri, Ayyanakere Lake, Belavadi, Bhadra Wildlife Sanctuary, Kemmangundi and Manikyadhara Falls are the important places to visit in Chikmagalur. If your idea of romance is living in a quaint little place in the middle of nowhere and away from the chaos of a city, then Lansdowne is the place you need to pack for. Among the least explored Valentine’s destinations in India, Lansdowne get its name from mist laden surroundings, quaint welcoming abodes, and the magnificent Bhulla Tal. Take a walk through the woods laced with variety of flora and fauna, and hike up to Tiffin Top for a breath-taking panoramic view of the town, this little land of romance and love has it all and will captivate you with some beautiful moments of togetherness. Lansdowne is an unspoiled hill station of India that is bestowed with the presence of looming mountains carpeted with oak and blue pine forest. Blessed with wonderful weather, serene environment, and salubrious climate, it proves to be a perfect venue to indulge in activities like bird watching, trekking, boating, and nature walks. Garhwal Museum, St. Mary’s Church, St. John’s Church, Tip-in-Top, Bhulla Tal, and Tarkeshwar Mahadev Temple are the top places to visit in Lansdowne. If you aren’t too fond of the hills and prefer romantic walks on the beach then Alibaug is the best place to celebrate this Valentine evening with your valentine on the beach where music meets the ocean, sky touches the sea, stars kiss the ocean. Probably the most popular places to visit near Mumbai, Alibaug is known for its beaches and forts. Walk hand in hand with your partner, seek blessings at the local temple, take a ride on Tonga or visit the Alibaug Fort, the choice is all yours. Often called as ‘Goa’ of Maharashtra, Alibaug is a popular coastal town in Maharashtra. Dotted with beaches, forts, and temples, Alibaug is a great place for travellers looking for peace and tranquility. 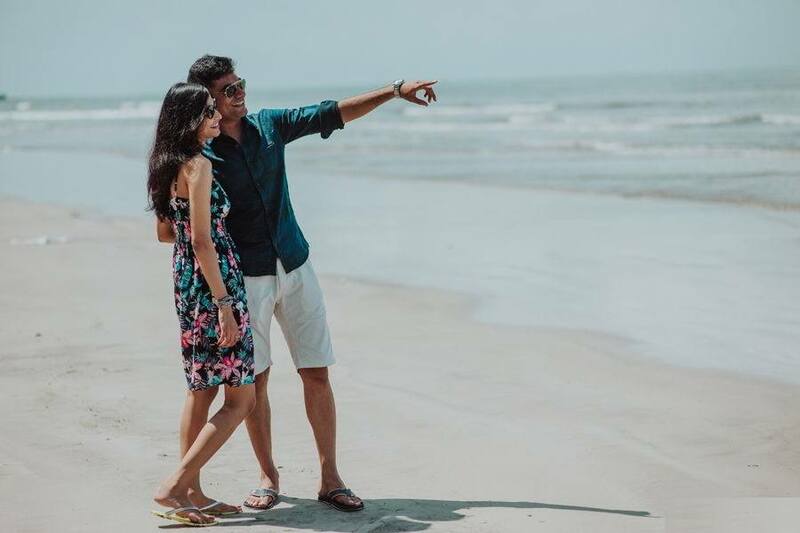 Alibaug Beach, Kihim Beach, Akshi Beach, Mandwa Beach, Kashid Beach, Varsoli Beach, Nagaon Beach and Murud Beach are the popular beaches in Alibaug and also among the top places to visit in Alibaug. 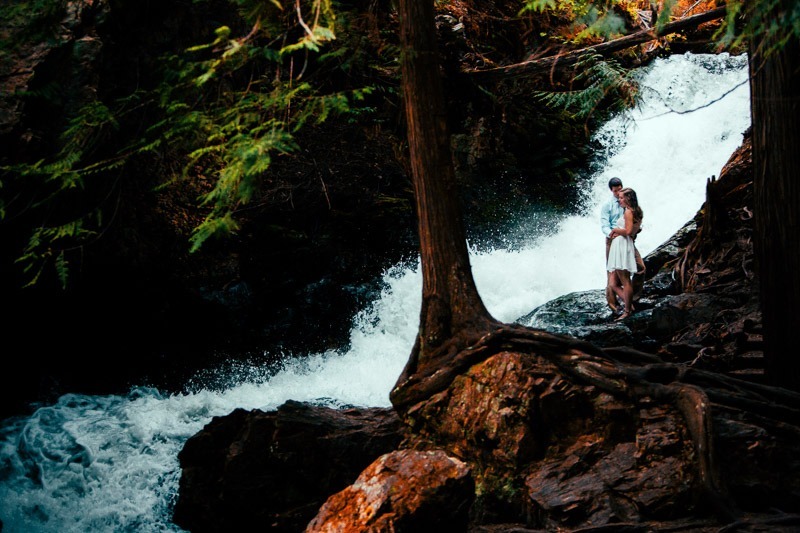 Shillong, the capital of Meghalaya, happens to be an ideal place for the couples who’re looking forward to fun places to go on Valentine’s Day. With its rolling green hills, pleasant weather, stunning lakes and gushing waterfalls, Shillong, the heavenly abode, provides the perfect setting for a romantic holiday. Walk hand-in-hand with your partner amidst pine conifers, relaxed on the banks of beautiful lakes, get wet in any of the waterfalls or participate in Strawberry festival, Shillong offers so many things to love birds. Often called as the ‘Scotland of East’, Shillong is a splendid place to celebrate this special day away from the crowd. Umiam Lake, Golf Club, Bara Bazaar, Orchidarium, Wards Lake, Lady Hydari Park and Zoo, Meghalaya State Museum, Shillong Peak, Grotto Church, All Saints Church, Spread Eagle Falls, Crinoline Falls, Elephant Falls and Beadon Falls are the top places to visit in Shillong. All, Getaways Places to Go on Valentine's Day, Romantic Places to visit on Valentine's Day, Valentine's Day. permalink.